Best AirPlay speakers 2018 | What Hi-Fi? If you want to keep your Apple Music experience entirely on brand, these are your outstanding options - AirPlay speakers are a bit of a rare beast nowadays, swamped by the sheer number of Bluetooth and Wi-Fi models on sale. Not all things to all folks, but if you prefer a walk on the smooth side you can't go wrong here. Unlike the Sinclair C5, the Addon C5 multi-room speaker can fill your house with sweet, sweet music. Sadly, you can't get on it and ride it. 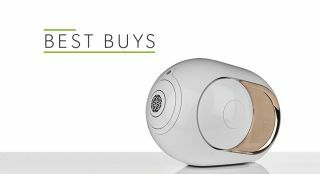 Not the cleverest smart speaker we've ever interacted with, but most certainly the best-sounding at this sort of money. Naim develops its Mu-so concept by reducing dimensions and price - but not connectivity or performance. With its power, rhythm and dynamics, the Mu-so is a fantastic AirPlay speaker. If you've got the cash, we can't recommend it enough. Blessed with eye-catching numbers, eye-popping visuals and ear-grabbing sound, it's obvious the gold Phantom will seduce many.